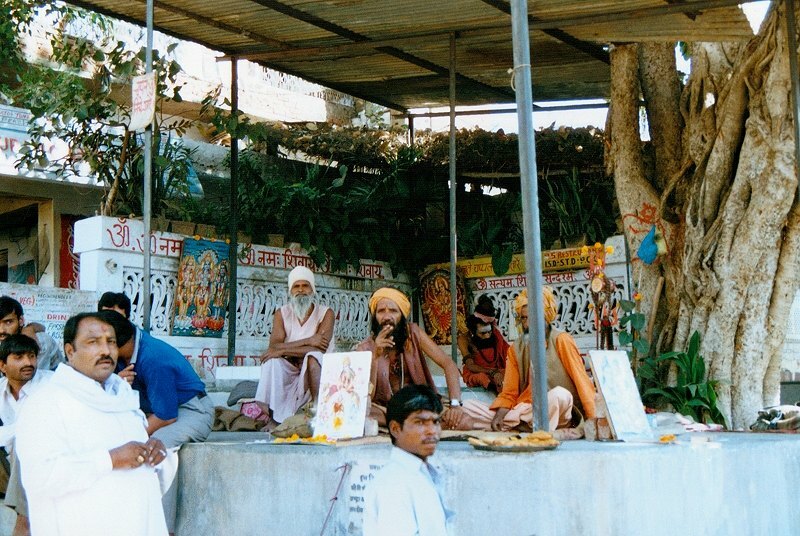 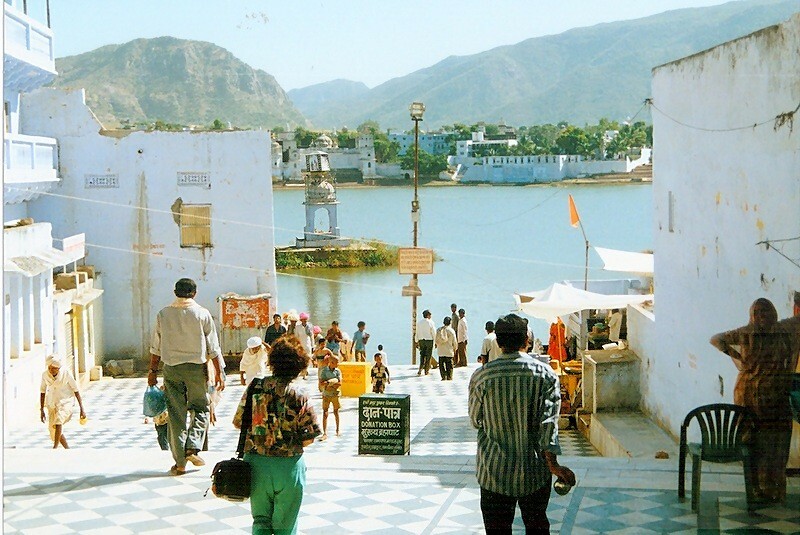 When you go from Jaipur to Jodhpur in any case you should not fail to visit Pushkar, an important place of Hindu pilgrimage in the state of Rajasthan. The lovely township housing is idyllically located at the sacred lake of the same name in the Aravalli mountains near the Thar Desert. 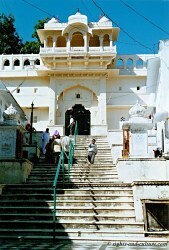 It is just 14 km apart from Ajmer, the most sacred of all Muslim pilgrimage sites in India, separated by the Nag Pahar (Snake Mountain). Ka Mela - the great Pushkar fair Pushkar is also known for its annual camel fair, the ka Mela. 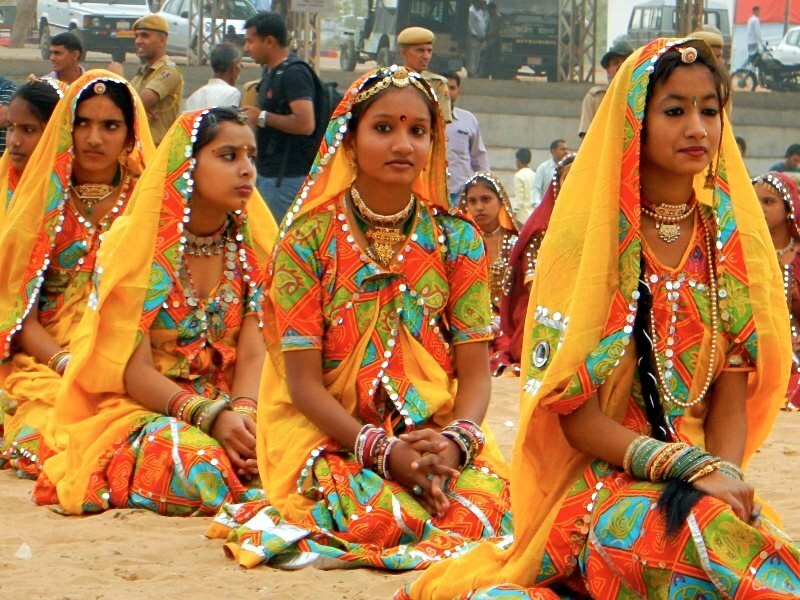 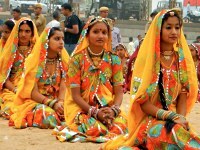 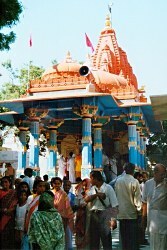 The five days festival is celebrated in October / Novenber depending on the Hindi calendar, at the Pushkar Lake. 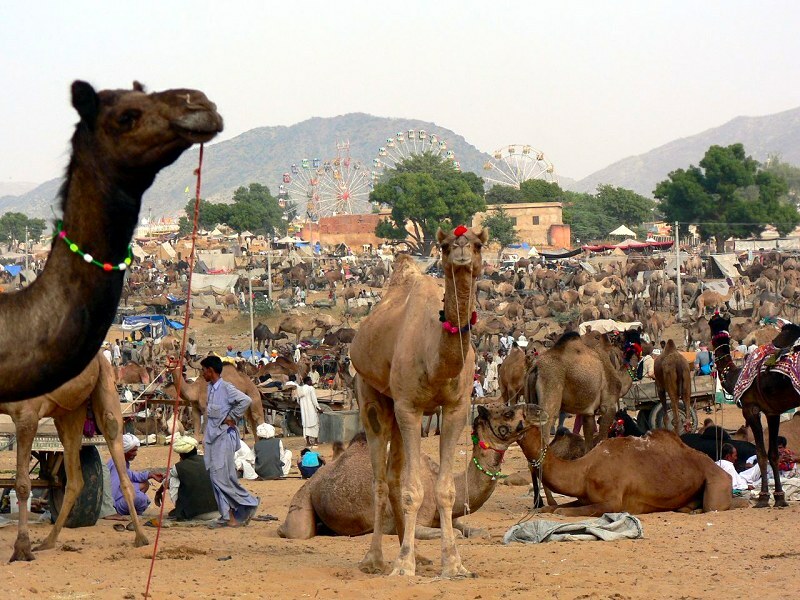 Thousands of traders and tourists flock to the city for one of the world's largest camel and livestock fairs. 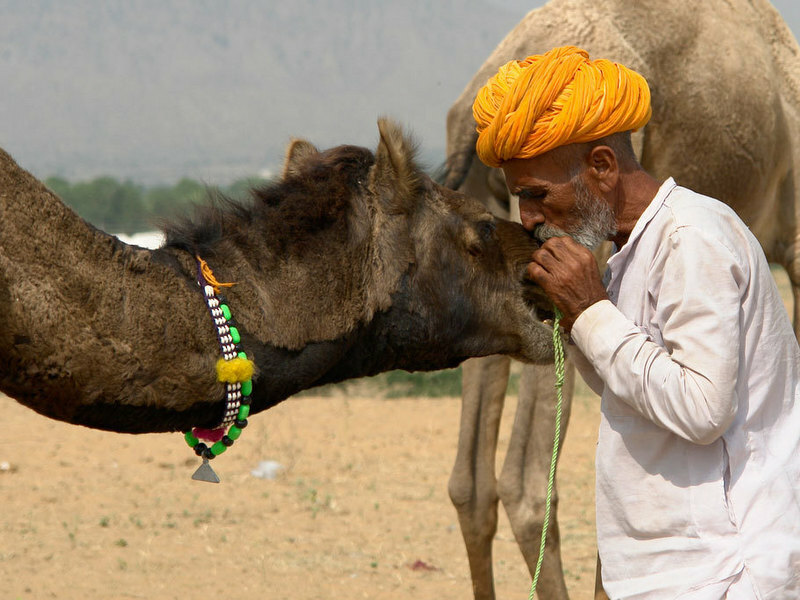 There will be thousands of camels, cattle and horses for trade, with added attractions of games, races, local folk dances, song and entertainment.